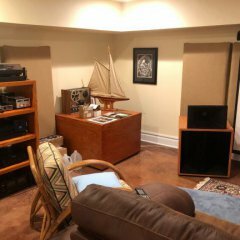 I am in the process of completely redoing my basement music room and home theater. Our sump pump failed during a rainstorm that followed a 14 inch snow storm back in December (that is a LOT of snow for NC). This led to a wet basement with flooring and drywall needing to be replaced. Thankfully, none of my speakers or electronics were damaged. All of the work is almost done with, so I will soon be putting the system back together. 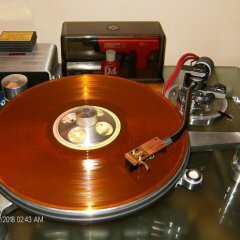 I also just recently purchased an ultrasonic record cleaning setup from cleanervinyl.com. My plan is to clean all of my records, one by one, before returning them to the shelf in the newly refurbished basement. Most of them are thrift store purchases in various states of (un)cleanliness, so this should make for a big improvement in sound quality. What better way to capitalize on a newly cleaned record collection, than a nice new cartridge? My turntable is a Thorens TD-190, currently using an Ortofon OM-10 cartridge. It is a modern Thorens, not one of the storied classics, but it has worked very well for me. It uses a lightweight arm, which is supposed to pair best with a high compliance cartridge. The obvious upgrade would be to simply replace the stylus with an OM-30 or OM-40 stylus (~$300 and $365, respectively). My question is, is this the best upgrade for my money? Are there any other high compliance cartridges that I should be looking at instead? Lets put the budget at $400 (maybe stretch to $500 if it is REALLY worth it). Do you have a removable headshell? If so, you can get a heavier headshell and run a medium compliance cart. There are also headshell weights available to help balance out tonearm/cartridge combinations. I have had good luck with the Ortofon 2M Black cart, but I believe it is a medium compliance cart. Also a little pricier, but good deals are to be had on used ones. I used to run high compliance arms/carts, but I found that using a heavier arm with a less compliant cart yields a better sound with less surface noise. That's just my opinion, your mileage may vary. When mating a new cart to your arm, be sure to check that the resonance is well below listening levels, assuming you have a test lp to properly set up your system. I've seen high compliance carts on lightweight arms that were less than optimal, needing a little tweaking to get the resonance level lower. Thanks for the response. At this point, I would like to try to stick with a high compliance cartridge. I have read that the TD-190 has some problems converting to heavier cartridges. The counterbalance weight doesn't extend out far enough to properly compensate. It seems that it really was designed exclusively for use with a lightweight headshell/cartridge. I looked at orts Bronze when I was very displeased with the silver on my new tt. Sticking my nose in when a cart is concerned will allow me to laud the microline stylus shape over all the others, but you'll have to hear the differences to become a believer! There are some folks here that have experience with the Thorens / choice of carts and all that. I'd guess you're west of me if you've had snow like that this year! 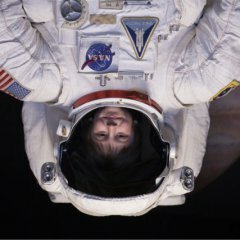 This site has a wealth of info, they retip MC's too! I'm very pleased with my Denon DL-110 on my AR ES-1 with 9" Jelco composite straight tonearm and head shell. I have definitely been intrigued by the Denon styli over the years. They do seem to get great reviews. 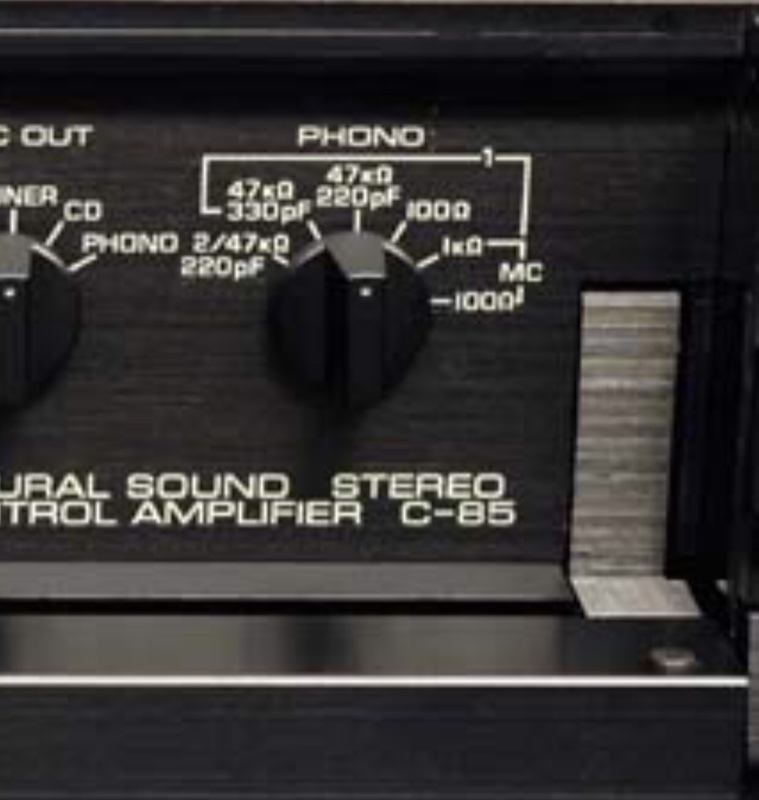 Are you using it with a step up transformer or a MC phono stage, or will it work with a normal, MM phono stage? If you haven't already, check out Vinyl Engine website. There is a lot of info on all things vinyl. Do a search on here for "DL-110" and read all the raves. I've owned similar Sumikos, Grados, and ATs and I strongly believe the DL-110 is the cartridge to beat in the under $400 market (if you do a thorough search, you may be able to find it for under $200!). And it runs just fine on a plain jane MM preamp by the way. TJ, I have a spare OM30 stylus here. It's got probably 150 to 250 hours on in it. If you want I can send it to you to compare with the OM10. If you like it, the original NOS stylus are still around on the Net. Oh to answer your earlier question, a Denon Low Output Moving Coil (LOMC) like the 110, require, not need, require a step up. The High Output Moving Coils (HOMC) do not. "a Denon Low Output Moving Coil (LOMC) like the 110, require, not need, require a step up. The High Output Moving Coils (HOMC) do not." My bad. I was thinking of the 301 when I typed that. I would try to find a NOS OM 30 or 40. I was in a similar situation myself a few years back. I had a Philips GA212 deck which I restored. I even got a couple of NOS entry level Philips carts. However, I wanted to experiment with something better. Bought removable headshell insert which enables me to try regular carts. Wasn't gonna spent too much time exploring the internet and just went with Ortofon 2M red, got it new on a discount. At first it did not sound well, but then I invested an evening readjusting the cart and trying various pressures. It paid of at the end. I am satisfied. Still think that OM series carts would sound better on 212, but I can live with 2M red for now. Thebes (or anyone else who can answer), I have never swapped cartridges before (this is the only TT I have ever owned). I know a thorough setup is required when swapping carts, but what about just the stylus? Do you have to re-align everything if you just swap the stylus, or is it plug and play? It should be "plug and play" but I'd check the overhang nonetheless. I'm running through my Yamaha preamp. The 110 is high output, so works with MM. It does fine at 47k ohms settings. If you simply change the stylus there are no further adjustments needed. On the Ortofon it's a small plastic thingy that simply slides off and the new one slides on. Will take only a few seconds to do a change. Just be careful not to bend the needle. Again read my offer above. Much thanks to Thebes. He very generously lent me an Ortofon OM30 stylus to try out. I have been listening to it for a couple weeks now, and I have to say it has been enlightening. It definitely has a crisper top-end. The highs are cleaner and more refined than with the cheaper stylus. It also seems to have more detail and texture down into the midrange, while still retaining that laid-back, relaxed sound that you only seem to get from analog formats. It has definitely helped me to understand what types of benefits are accessible via the sharp end of the signal chain. Now I have some thinking to do. Stop here and stick with the Ortofon MM cartridge family, or continue to explore other options?